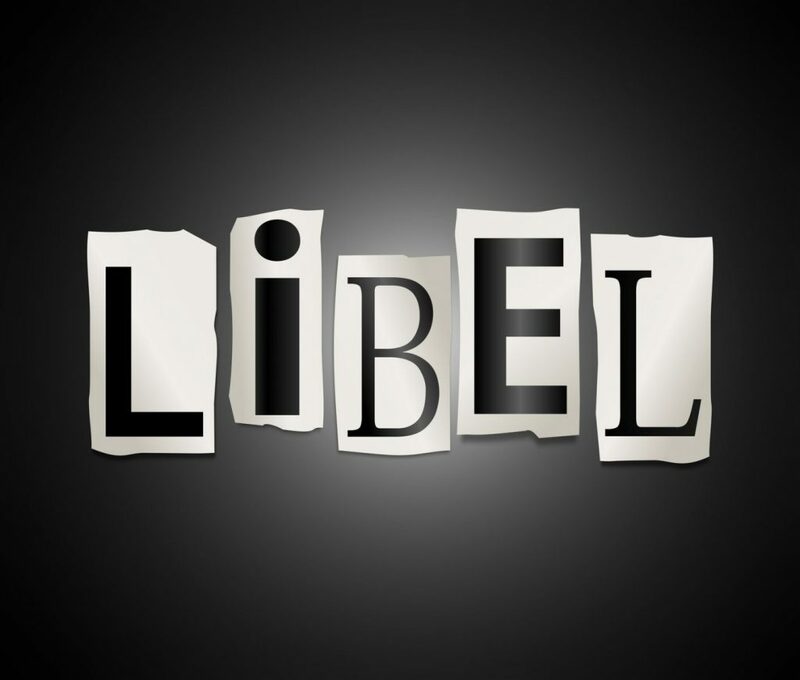 MONROVIA – On Tuesday, January 22, 2019, the Liberian Senate invited expert opinions on the bill to repeal criminal libel provisions in the penal code of Liberia. The bill was overwhelmingly passed in the House of Representatives on July 3, 2018 and forwarded to the Senate for concurrence. I felt particularly good to have participated in the Senate hearings, having also made a presentation before the House of Representatives joint Committee on Information and Judiciary on the same bill. Thanks to the lawmakers for their invitations to share my thoughts on this very important instrument, [I believe] due to my long years of advocacy and work on the subject. Thought it felt good appearing before our lawmakers, I should like to admit that I also felt a bit inadequate on each of the occasions I appeared because of the absence of key individuals who authored and/or reshaped the bill. I have reference to Cllr. Taiwan Gongloe [now President of the Bar Association] who first drafted the bill to repeal the provisions long before Liberia could even accede to the Declaration of Table Mountain in 2012. If there is anybody who can better explain why we should abolish those laws from our books is Cllr. Gongloe. You also want to hear the perspectives of counselors Negbalee Warner [now Dean of the Law School] and Boakai Kanneh, Chairman of the Law Reform Commission on the legal implications of repealing. These lawyers have direct bearings on this bill – they drafted, reworded or restructured the repeal act as the case maybe. I can speak with such certainty because I played a facilitating role in the processes involving media practitioners, lawyers, state and civil society actors that culminated into the finished draft and submission to the office of the former president. I was pleasantly surprised that members of the House of Representatives did not hesitate this time as they went ahead to endorse the repeal act with such speed. But the fear appears to have reverberated in the Senate hearings. Three of the five Senators who sat in the hearings, did not hide their feelings about what they see as problems in the media – false and damaging articles, young people throwing insults at officials, lack of ethical standards, protection of the state among others. There can be no denying that these issues exist in the media, which can be partly blamed on the ownership of the media. Media owners with various vested interests unfortunately use their outlets to attack their opponents – resulting to retaliatory attacks in the media. Without been dismissive of the responsibility of the media in controlling these distasteful and unprofessional acts, those should not stop us from decriminalizing speech offenses. Apprehensions about the media and protection of the state always constitute the main reasons why some political leaders in our part of the world feel reluctant to open the space and enable the media environment. I remembered the concerns that attended the campaign to enact the Freedom of Information Act (FOI) of 2010. At some point we had to remove the media face from the campaign and let colleagues in civil society play leading roles in order to allay some of the fears that the FOI was not merely a media bill. Too often we want to address the ethical deficits in the media before we talk about freedom of the press. It doesn’t work like that. To insist on that is like trying to make sure all criminals are out of the streets and communities before deploying the police. We rather deploy the police knowing that they [criminals] are there. States have the responsibility to enable the environment for their people. That’s why our country signs onto regional and international protocols and conventions as a member of those organizations. We must therefore align our laws with the standard of those organizations as a requirement for our membership. Of course the abolition of laws that criminalized speech offenses is one of those demands and obligations of state parties, including the protection of journalists. To the extent that the subject provisions contravene even the constitutional guarantees of freedom of expression as recorded in Article 15 of our Constitution, the laws have been maintained and used since its enactment in 1978 to inhibit and punish critical speech. Our democracy is evolving and in the face of those laws notwithstanding, we have had more difficult speeches in spite of the predisposition to harshly punish or silence dissent. Expression happens naturally whether spoken, printed or unspoken. So trying to place restrictions is not the solution especially in the digital age. Many of our citizens are engaged with various digital platforms in addition to the very many traditional outlets at their disposal. The question is have we actually been able to protect the president and public officials against speech or criticism? The answer is NO. So why retain laws exclusively to prevent people from accusing them? I learned a new word in the Senate hearings – “gradation” as used by Bomi County Senator Morris Saytumah. This means forming series of successive stages of the penalties. According to the Senator, this is what the bill needs and not repeal. In my limited sense of the law, this would keep those criminal provisions in the penal code and while just downgrading them. I am afraid we need to get rid of those laws. Our officials have too much privileges and powers to defend themselves against criticisms. Thankfully, the president of the country is keen on deleting the laws from our books. We urged the Senate to concur because it is the right thing to do. Essentially, it also strengthens and sustains our democracy. Without exception, we all have legitimate rights to seek legal recourse in cases where people’s reputations have been erroneously and deliberately defamed in false news reports. However, such actions should be grounded in civil cases, punishable where appropriate by direct compensation to repair the injured person’s reputation. But civil remedy too needs limitation on the amount of money that can be rewarded to a complainant in damages. We probably need a cap on such an amount in order to guide against prohibitive fines that would in effect criminalized libel. Oh yes, speech is a fundamental human rights. It should not be criminalized – let’s abolish it.